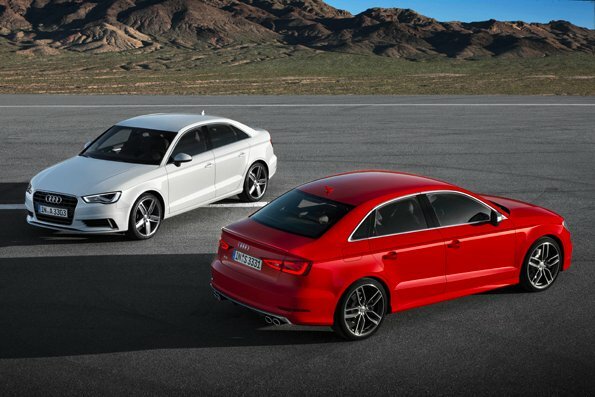 The new Audi A3 and S3 Sedans* have received a five star overall rating from US NCAP for the highest crash safety. These models are therefore among the safest automobiles in their class. For US NCAP automobiles must undergo rigorous frontal, side and rollover tests and the force of impact to various body regions is measured on crash test dummies to determine a rating. In Europe the Audi A3 Sportback e-tron recently received the top five star rating from Euro NCAP. This puts the first series production plug‑in hybrid from Audi among the safest cars in its class. via Audi MediaServices – Five stars for Audi A3 and S3 Sedans from.